Noa Noa is in Hilo for the Merrie Monarch! 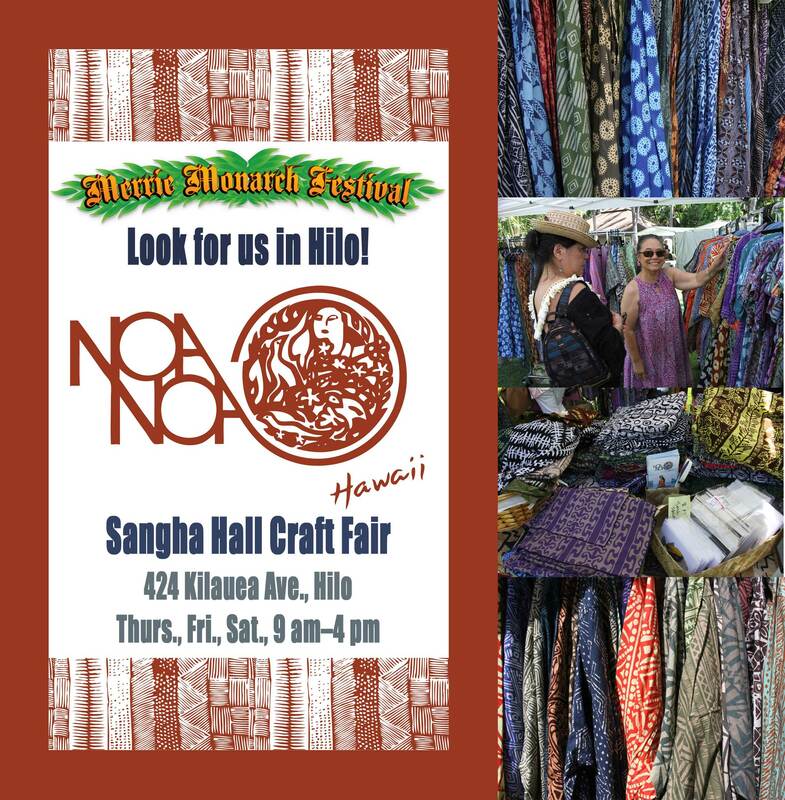 Catch Juanita Kawamoto-Brown and Leimomi Khan at the Noa Noa booth at the Sangha Hall Craft Fair, 324 Kilauea Ave. on Thurs., Fri., Sat., 9 a.m. to 4 p.m. This entry was posted in General on April 19, 2017 by Blaine Fergerstrom.